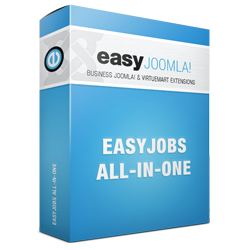 Easy Jobs is a practise proven, easy-to-use system for publishing jobs by companies and searching jobs by job seekers. Its key feature is simplicity. 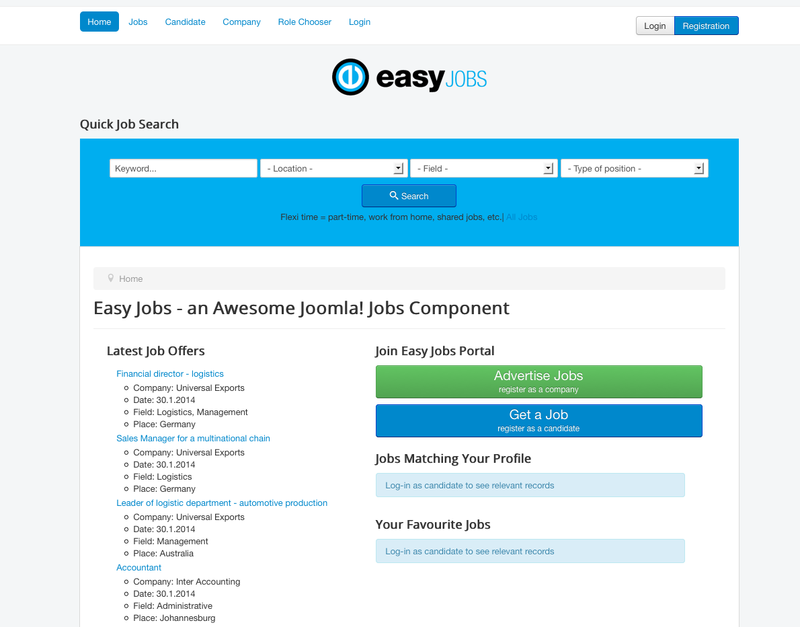 Thanks to a lucid design, you will be able to implement Easy Jobs into any website and any template really quickly. It is Bootstrap compatible but if you do not have Bootstrap, it does not matter. 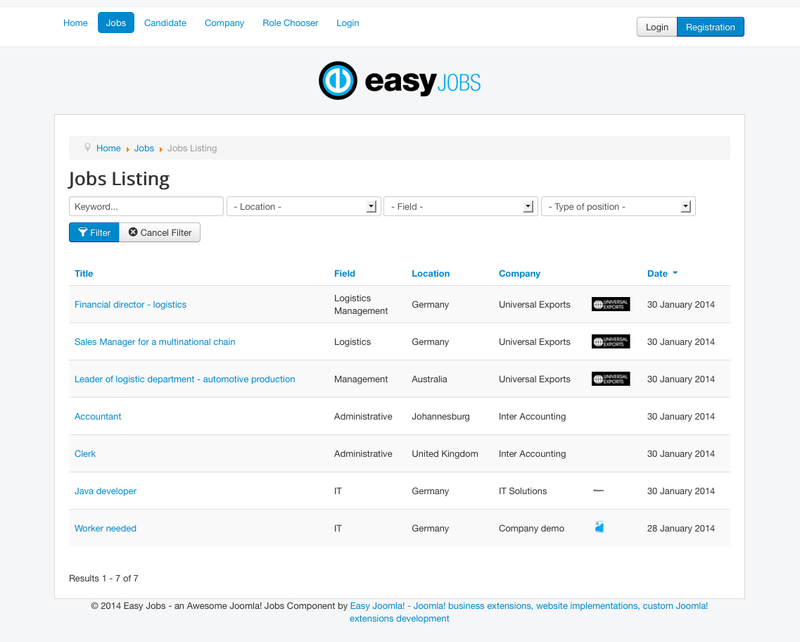 We are making updates to Easy Jobs every month so you can expect major improvements and features that will save you time, or make money. 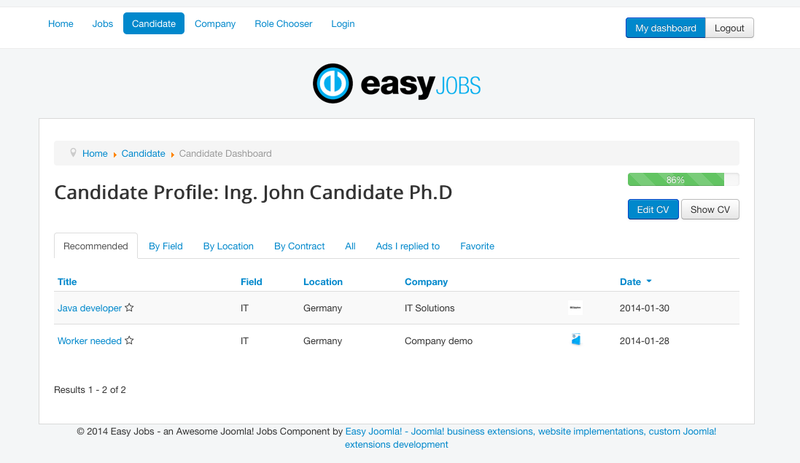 The package contains a component, a search module (jobs search form) and a plugin. ... more useful features and tweaks coming.